This entry was posted on January 7, 2011 at 8:00 am and is filed under feelings. You can follow any responses to this entry through the RSS 2.0 feed. You can leave a response, or trackback from your own site. i know! i thought the same thing when i was reading your anniversary post. it’s a good year to be 30. congrats to us. and by us, i mean me and your marriage. i stumbled upon those photos while at my folks’ house and couldn’t believe it. me, reading, or attempting to read. 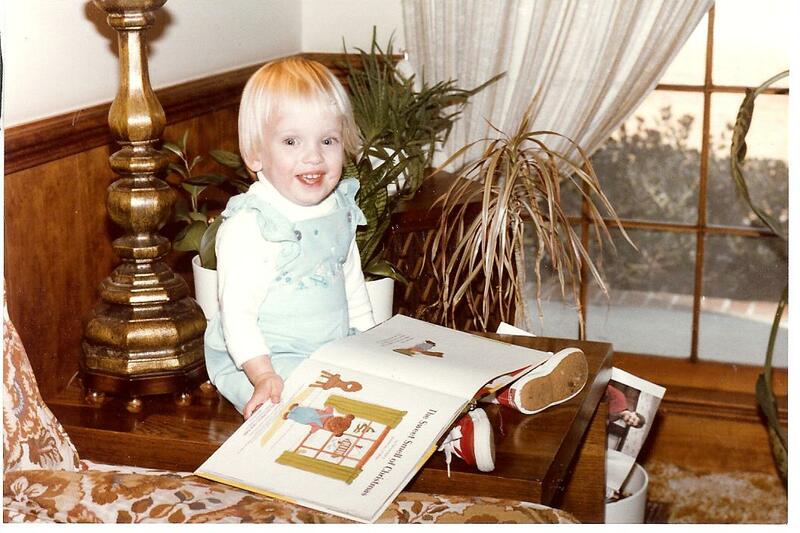 but i really love the one where i’m sitting on the end table because, really baby abby, that’s more comfortable than the couch (check out that pattern!) right next to you? Those pictures ARE adorable! So cute! “hodge podge” and “getting to know you” — because learnt some new things about you, and because I like stream-of-consciousness/random-list posts! “teammates” — because it made so much sense! “italian lessons” — because I could live vicariously through you and you were cracking me up! “inspiration vs. perspiration” — because it’s a fascinating to hear what other people are inspired by. There, now can we have cake? woah. THANK YOU. what a fine list maker you are and each with its own description of why. this is really helpful. i like to keep my readers happy and when i know what you all want…..i can give it to you. and YES, let’s eat cake of the chocolate variety. the squash one was fun to write and fun to live. thank you for the indulgence and for the happy birthday wishes. Anyhoozle, happiest of happy birthday eves! so you’re saying you like my looooooooooong posts. noted. I just turned 30 and you know what, it was awesome. I’m so happy to leave my 20s behind. Happy (early) Birthday! you turned 30 over thanksgiving, right? happy belated! cheers to our 30s! I loved the *so fun! * one, for the structure and enthusiasm. Happy Birthday! I’ve told many of my *ahem* younger friends, and they’ve all come back to say I’m right, that the thirties are WAY better than the twenties. You’ll love it! i do keep hearing that the 30s are often a grand era in one’s life. if that’s the case, I CAN’T WAIT. only one hour and counting, bring it on, 30s. bring it on. thanks for the birthday wishes and thanks sharing your opinion on my blog! *tips hat* much obliged. Well of course my favorite post was was from November called “the art of listening.” It had absolutely nothing to do with the fact that you mentioned me in the post but more to do with the fact that I had another excuse to watch the video for “teenage dream” a song which I am nuts for. Thanks to you. I also liked the post you did called “not my words” where you shouted out about things that were going on in the virtual world that others may be interested in. PS Sorry I missed the mention of your birthday. 30? You are such a baby. Hope it was legen…wait for it…dary! Happy Belated Birthday. teenage dream (in particular that version of it) is in my top 10 favorite songs. it’s just such a joy. and it never fails to put a smile on my face. legen…wait for it…dary! i love that show. and yes, my birthday celebrations were in fact legendary. bring it on, 30s. ah, yes. i do like that one too. I’m sorry it’s taking me so long to get caught up! But HAPPY BIRTHDAY!!!! Now that it’s no longer the eve, but the reign. Or something. Turning 30 is like being Miss America, right? All glamorous and charitable, with a surprising number of sashes? 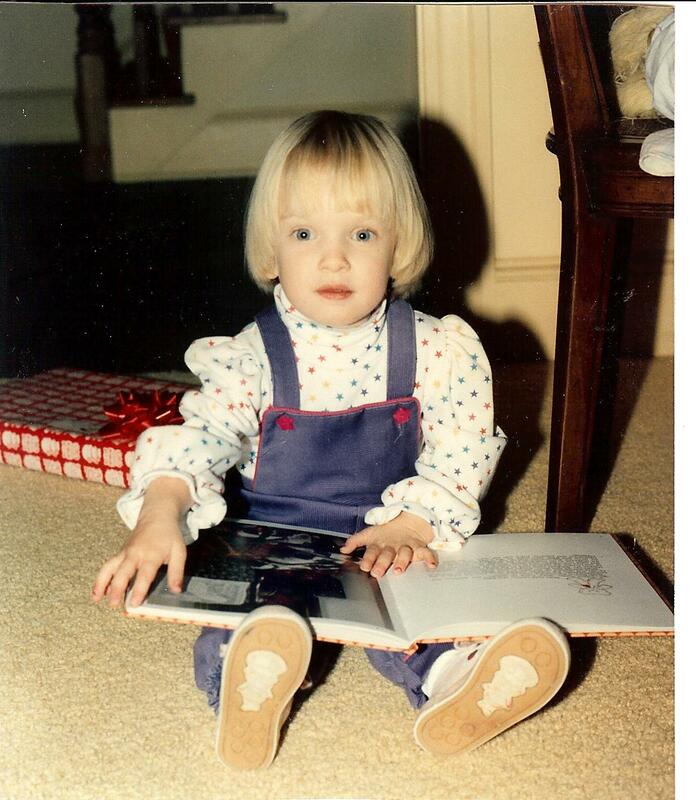 And like everyone else, I’m having a hard time deciding between Italian Lessons and little reading baby Abby. Because it’s super hard to choose between Too Awesome and Too Cute. ha ha ha. “no longer the eve, but the reign.” I LOVE IT. me and my sashes are gonna rain on you fools. uh, yeah. so 30’s going well. it certainly feels good with all those compliments you’re dropping. Nice like cake. Sweetest thing anyone’s said to me all year. Here, you can wear one of my 30 sashes. It’s like a fake ID in reverse.